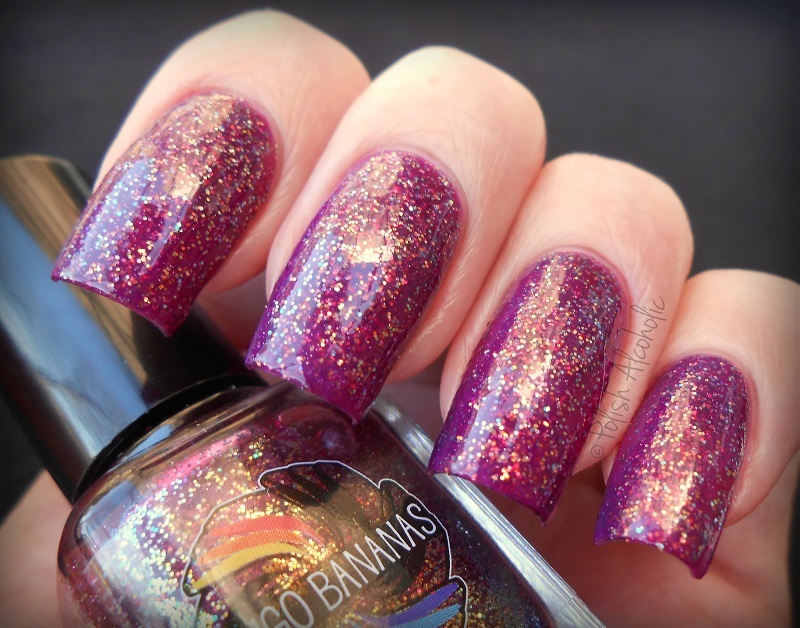 Let’s begin the weekend with some color shifting glitter! Here’s 2% Butterscotch Ripple by Indigo Bananas: My photo’s don’t do this polish justice. It is so much prettier in real life. 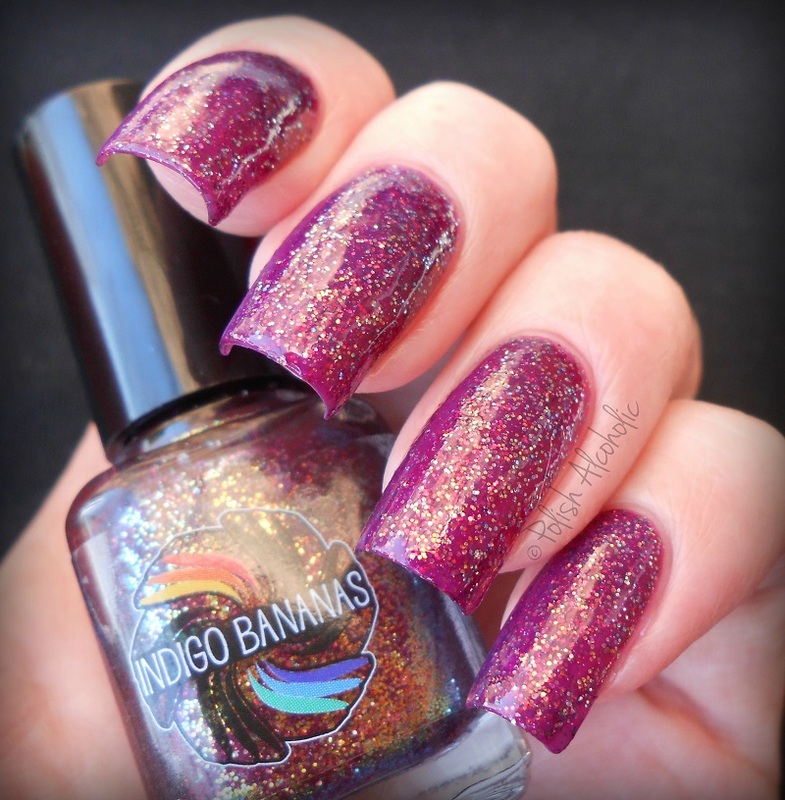 This is a plum (crelly I think) base jam packed with color shifting glitter in mainly green-gold. I love it! I used three thin coats plus top coat here but I think you can get away with just two. And one more… I’ve found this on Indigo Bananas’s website but they are also available at other stockists though. 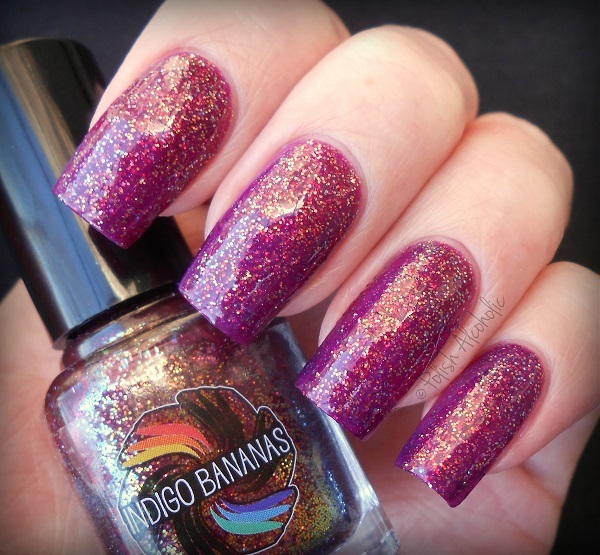 This entry was posted in Indie and tagged 2% butterscotch ripple, indie polish, indigo bananas, indigo bananas 2% butterscotch ripple, review, swatch, swatches by Polish Alcoholic. Bookmark the permalink.